Colorado Springs, Colo. – Local youth will have an opportunity to play with their big league heroes at the Major League Baseball Players Alumni Association (MLBPAA) Legends for Youth baseball clinic series on Wednesday, March 28th, 2018. 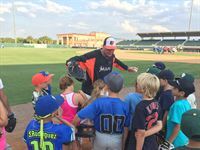 In conjunction with the Florida Fire Frogs, the free clinic features former Major League Baseball players who will teach baseball skills, drills and life lessons for approximately 200 local youth. Players attending* include All-Star Ron LeFlore and 11-year MLB veteran Jason Johnson, as well as John Frascatore, Rusty Meacham, James Parr, Randy Ruiz and Brian Tollberg. These seven players combine for 44 seasons, 115 wins and 1,980 games in Major League Baseball. The clinic will take place at Osceola County Stadium, running from 5:00 p.m. to 7:00 p.m., located at 631 Heritage Park Way, Kissimmee, FL 34744. Alumni players will train at stations including pitching, catching, baserunning and life skills. Registration will begin at 4:30 p.m. and the evening will conclude with an autograph session and baseball giveaways for children in attendance. To register for this clinic, please visit www.baseballalumni.com. Registration is required. For more information regarding the clinic, please contact Nikki Warner, Director of Communications, at (719) 477-1870, ext. 105 or visit www.baseballalumni.com. MLBPAA was founded in 1982 with the mission of promoting baseball, raising money for charity and protecting the dignity of the game through its alumni players. The MLBPAA is headquartered in Colorado Springs, CO with a membership of more than 8,300, of which approximately 6,000 are alumni and active players. Alumni players find the MLBPAA to be a vital tool to become involved in charity and community philanthropy. Follow @MLBPAA on Twitter, Facebook and Instagram for updates. 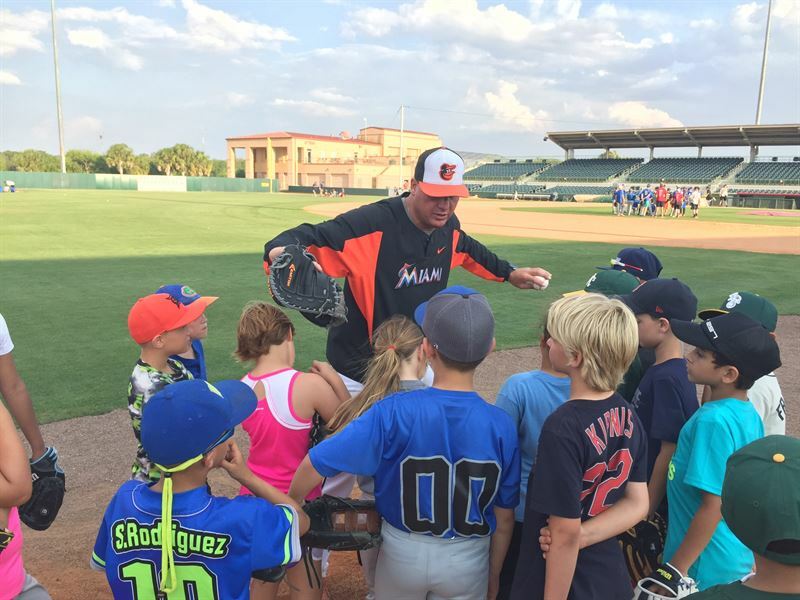 MLBPAA’s Legends for Youth clinics impact more than 18,000 children each year, allowing them the unique opportunity to interact with and learn from players who have left a lasting impact on the game of baseball. The MLBPAA has reached children across America and internationally in Australia, Canada, China, Cuba, Curaçao, the Dominican Republic, Germany, Italy, the Netherlands, New Zealand, Nicaragua, Panama, the United Kingdom and Venezuela, through the Legends for Youth Clinic Series. To donate to this program, visit baseballalumni.com/donate. The official hashtag of the Legends for Youth Clinic Series is #LFYClinic. The Major League Baseball Players Alumni Association (MLBPAA) was formed in 1982 in order to promote the game of baseball, raise money for charity, inspire and educate youth through positive sport images and protect the dignity of the game through former players. A nonprofit organization, the MLBPAA establishes a place where a player's drive for excellence and achievement on the field can continue long after they take their last steps off the professional diamond.